Join the discussion on our forums! 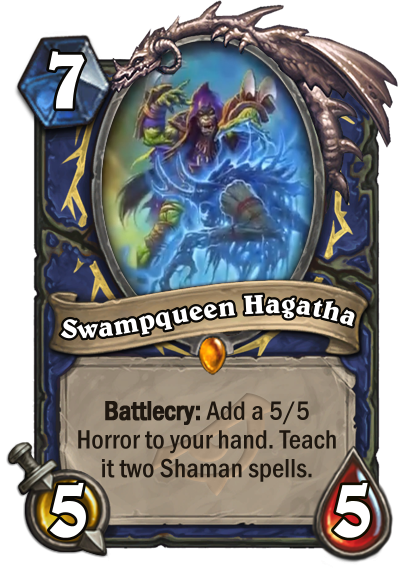 Come discuss Swampqueen Hagatha over in our dedicated Swampqueen Hagatha discussion topic. I'm trying to figure out whether i should craft this card or not since it's the Only One i'm missing for control shaman,do you think it's worth? So far I'm loving this card. Been able to turn a board full of totems and crap into legendaries by discovering the storm bringer. Amazing art too. How does the Horror interact with a card like Hagatha's Scheme? Will the spell upgrade each turn while "learnt" by the minion? It does not upgrade Hagatha's Scheme and it is also currently bugged with Shudderwock, where shudder doesn't trigger the Horrors battlecry even though it shows that it did in the history. I think that, while this is slow, the effect is actually really powerful. So powerful that I would want to make room for this in a Shaman deck. 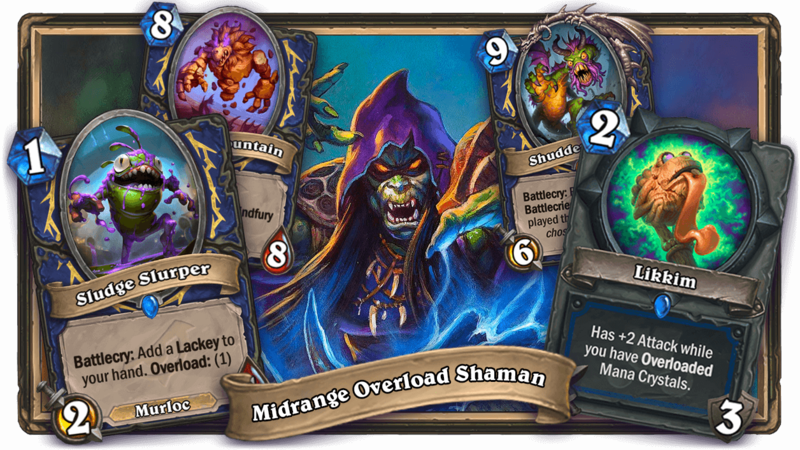 Aggro not as much, but every other Shaman deck (except even...) should probably cut out a space for such an explosive card. This gets a 5/5 for me.